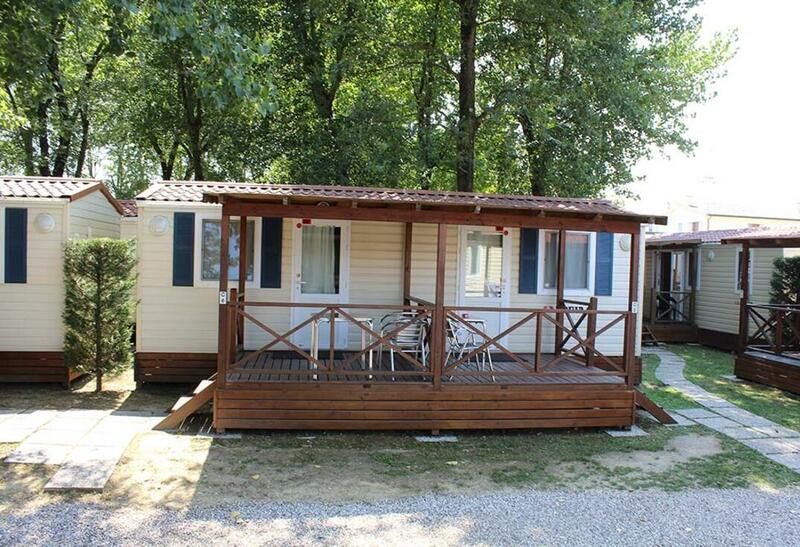 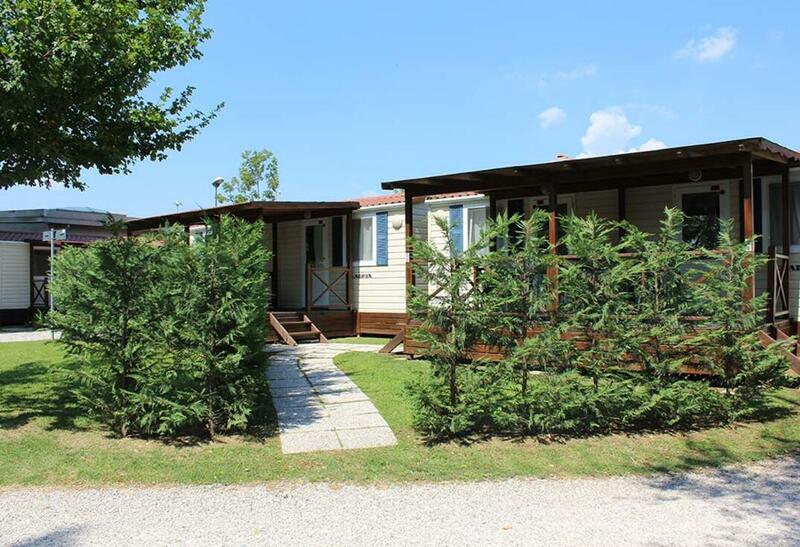 Our Campsite in Venice has 70 mobile homes arranged along green alleys with stone footpaths. 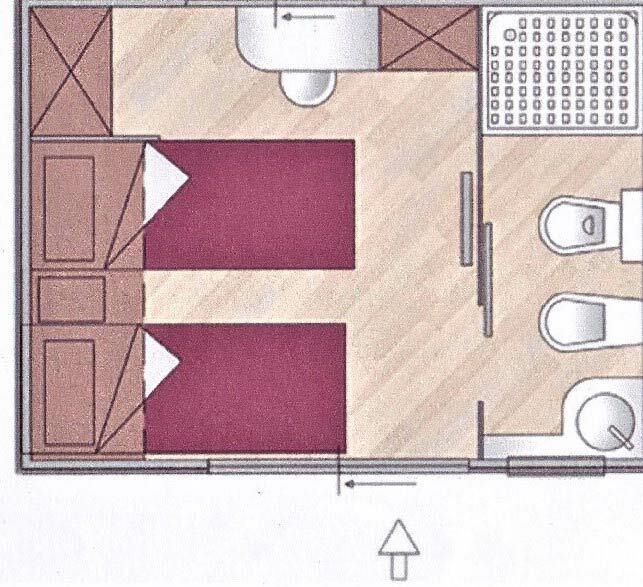 We have developed this option for anyone who is looking for more comfort without sacrificing a quiet holiday in touch with nature. 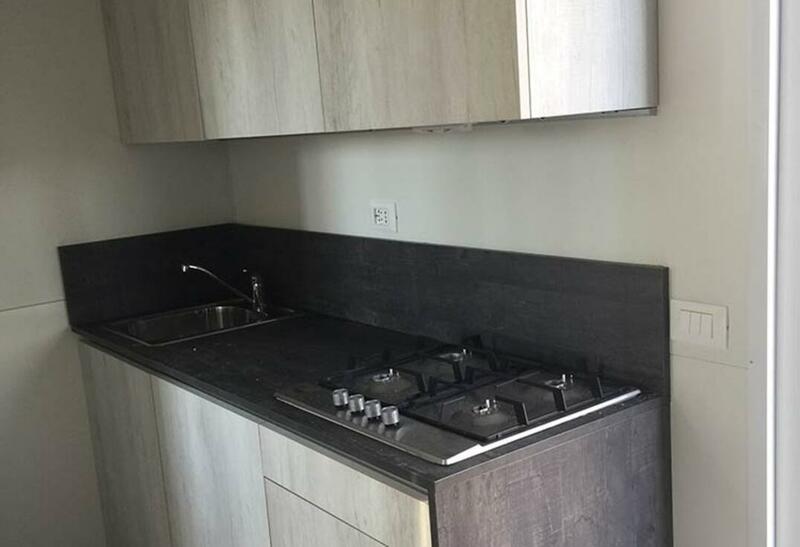 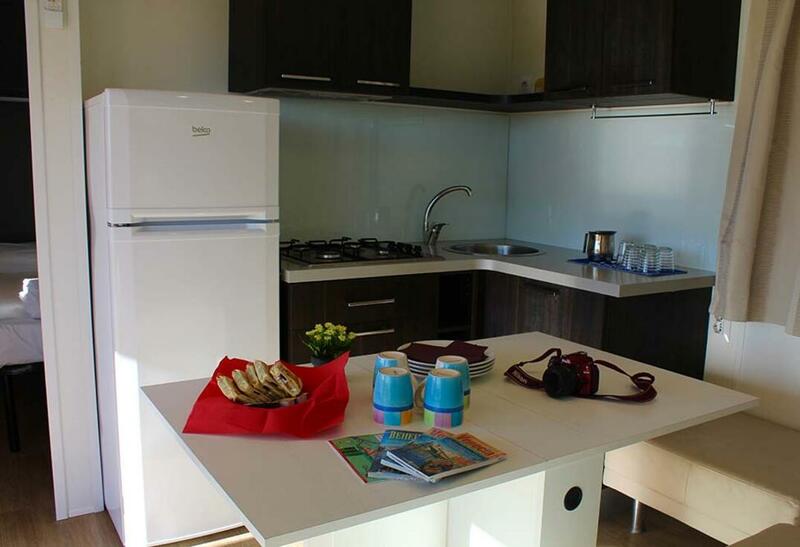 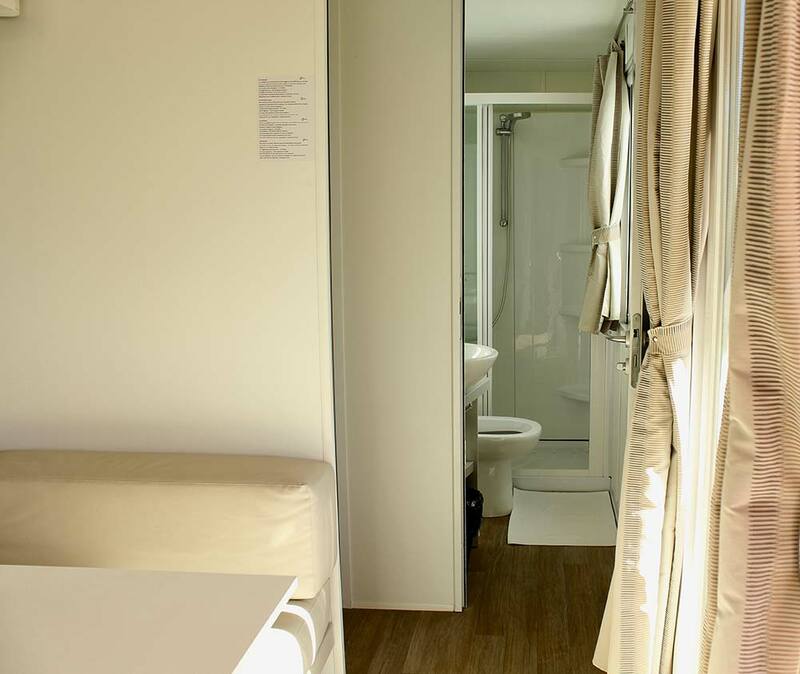 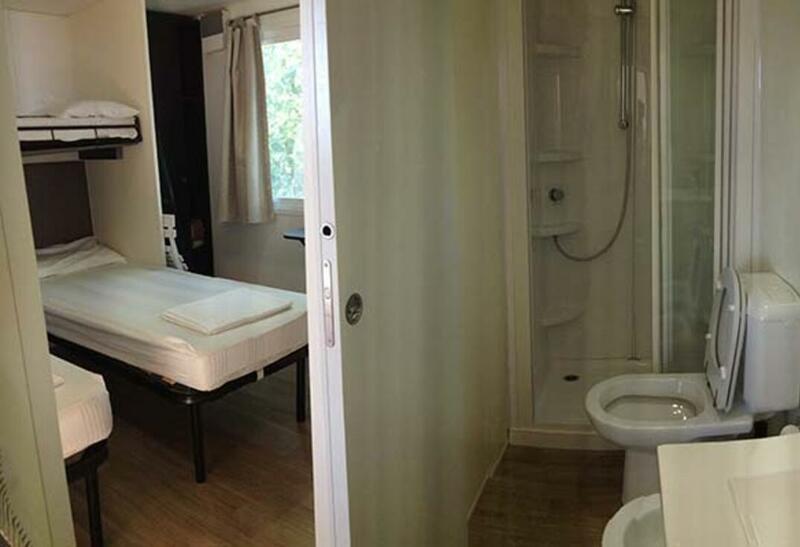 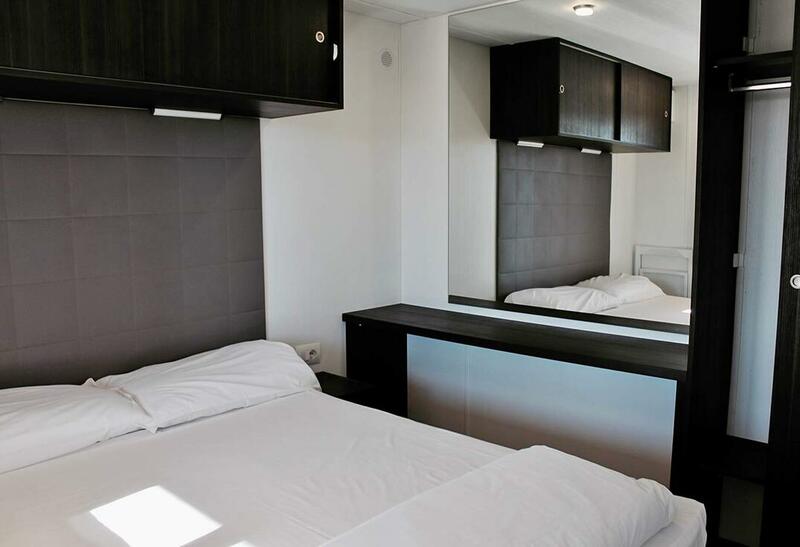 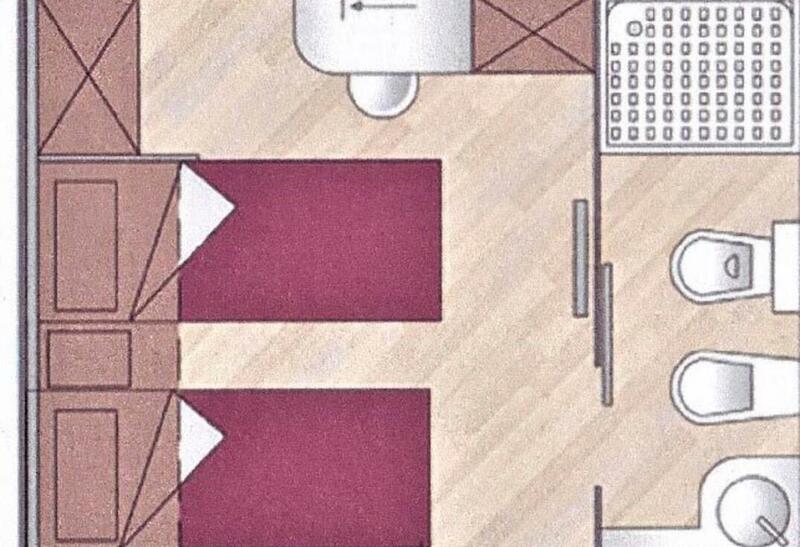 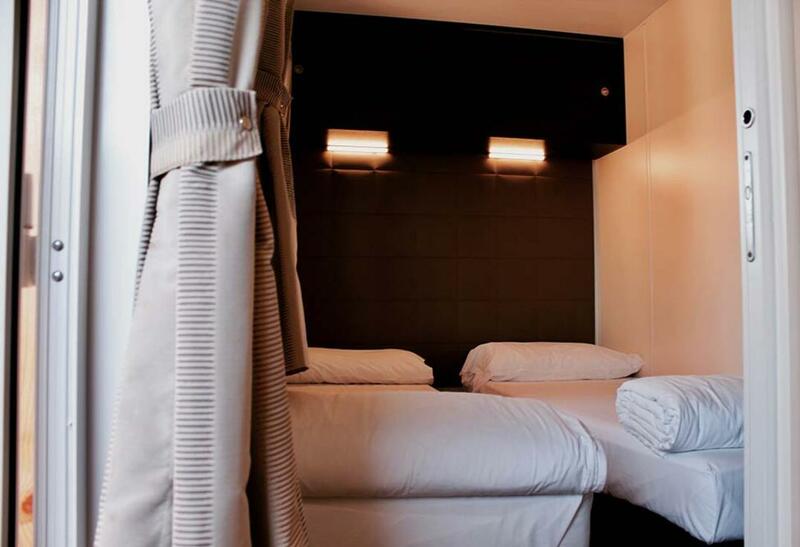 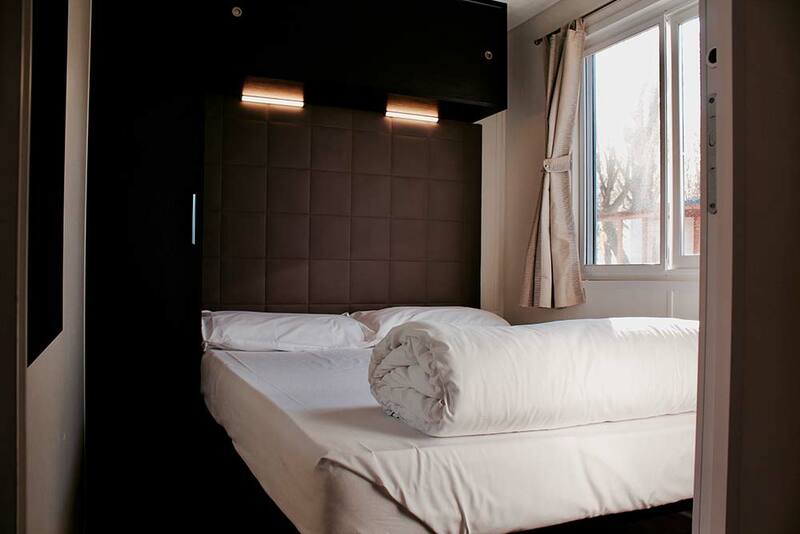 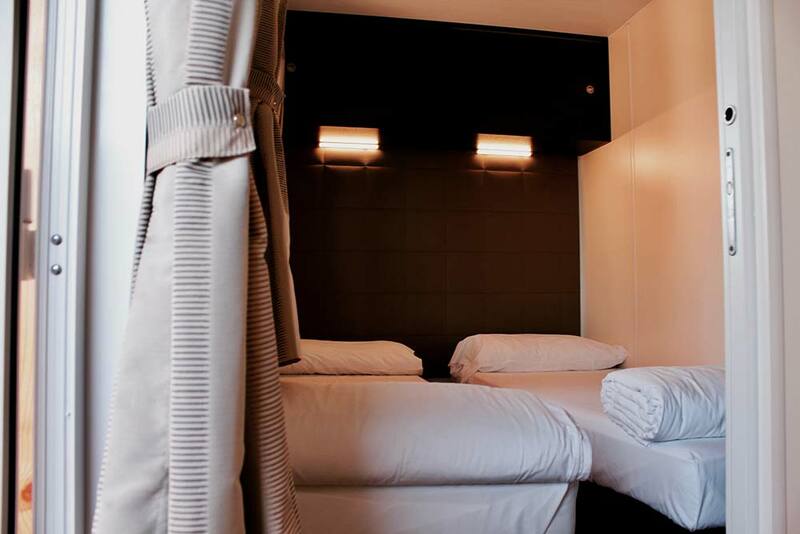 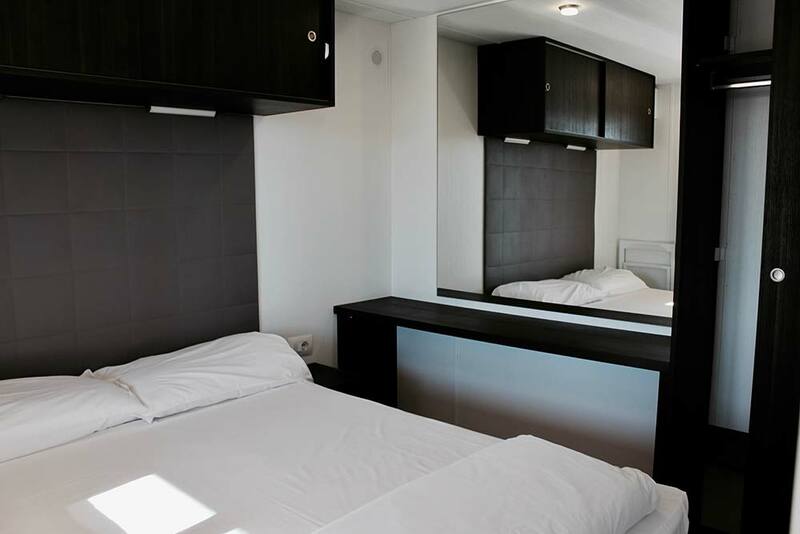 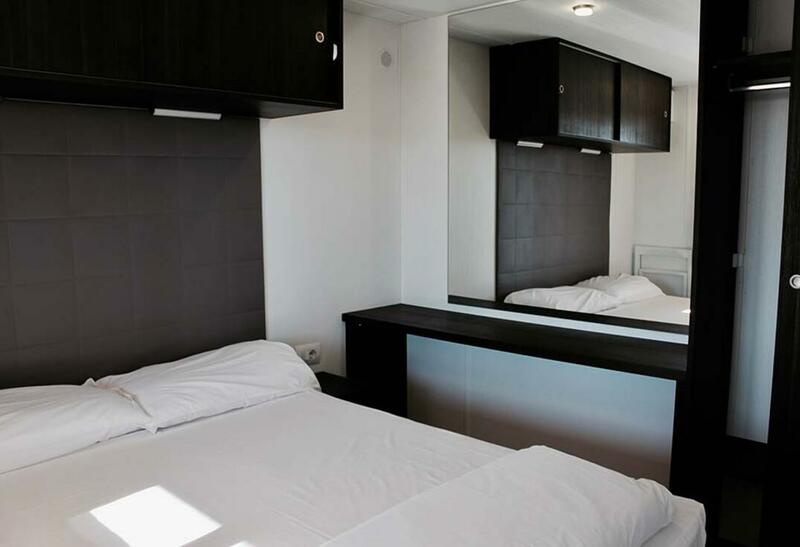 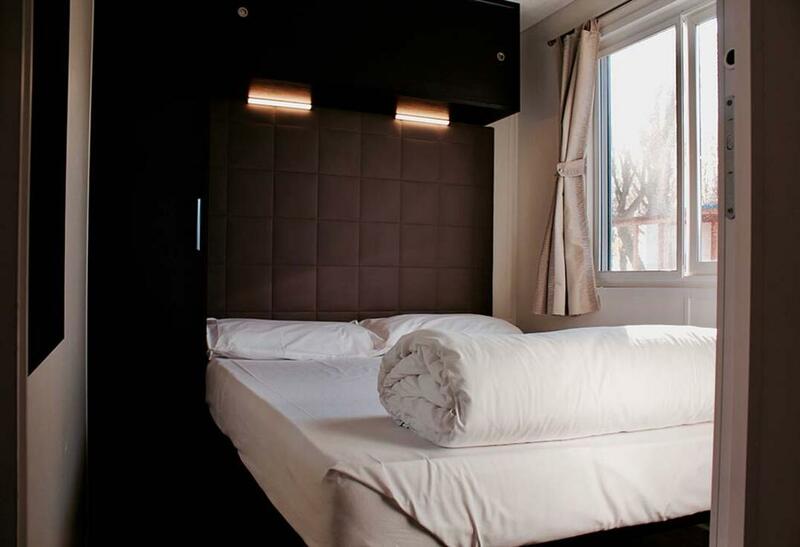 Some rooms are equipped with a kitchenette while others only have a bedroom and bathroom. 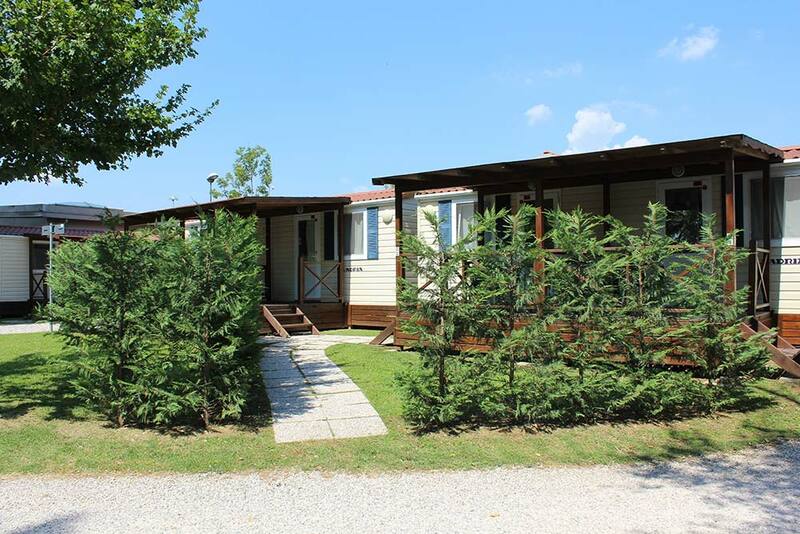 The village area is very quiet and has a relaxing atmosphere. 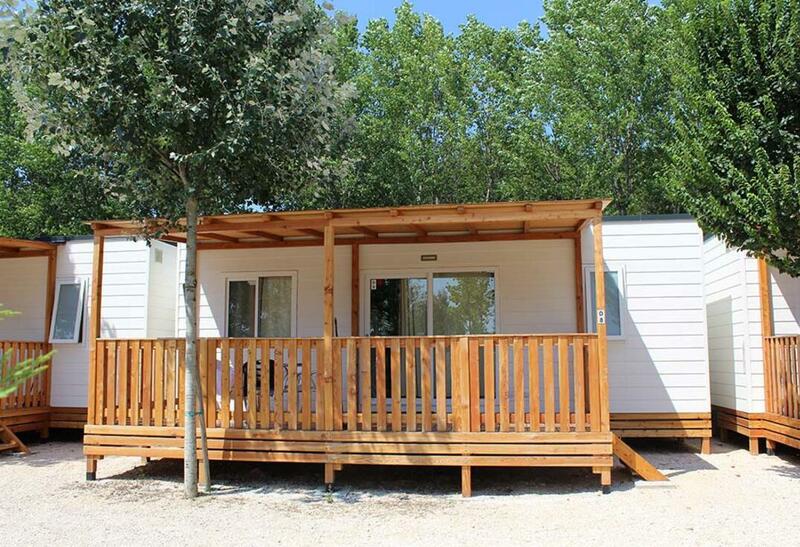 All mobile homes feature a covered wooden terrace with table and chairs. 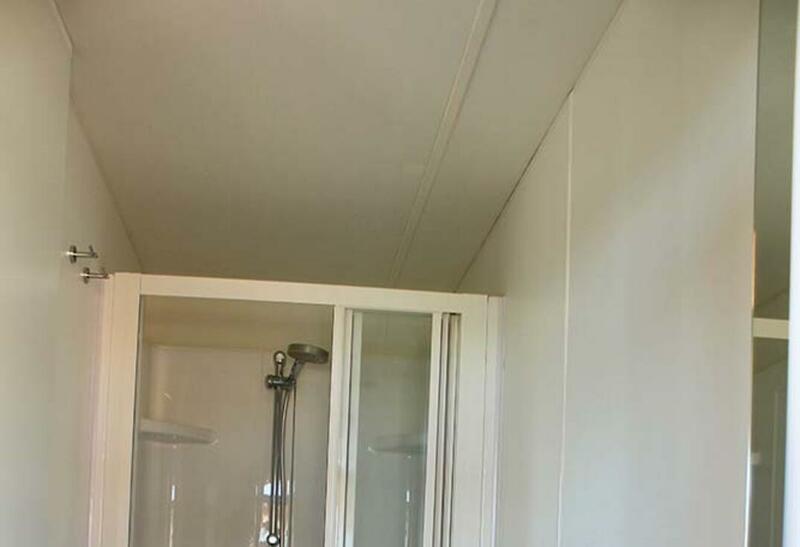 Pets are not allowed inside the mobile homes. 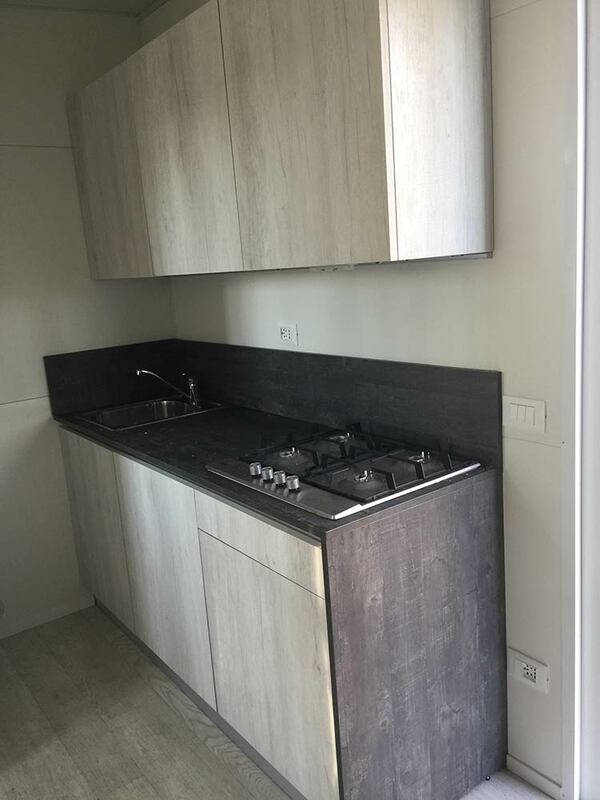 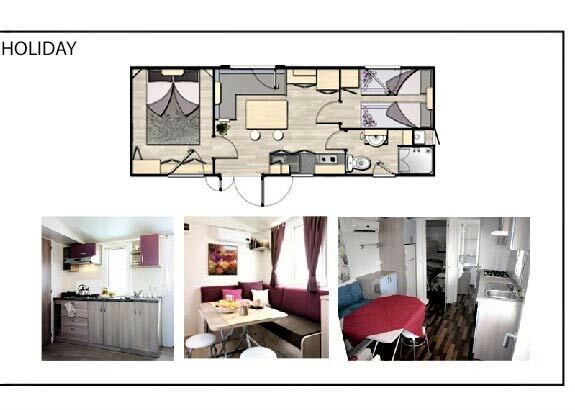 Features: kitchen, fridge/freezer, air conditioning (extra charge), heating, 1 double bed, 2 single beds, bathroom, shower, sofa, covered wooden outdoor terrace with tables and chairs. 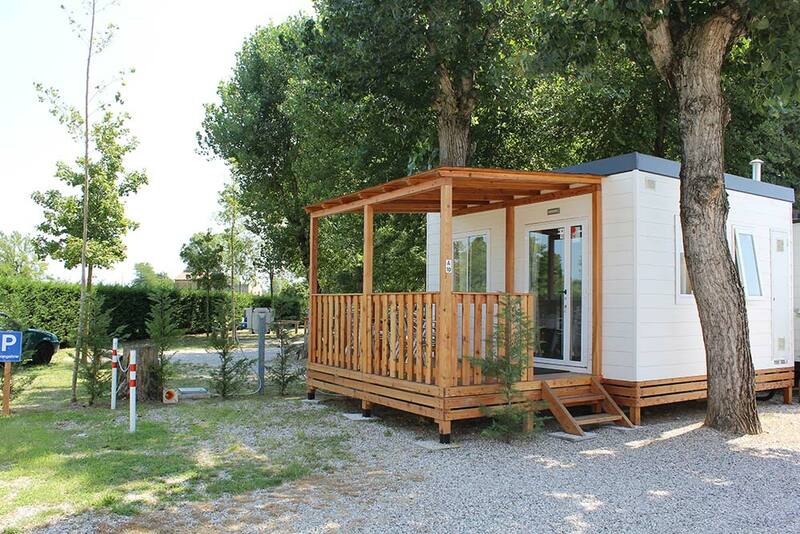 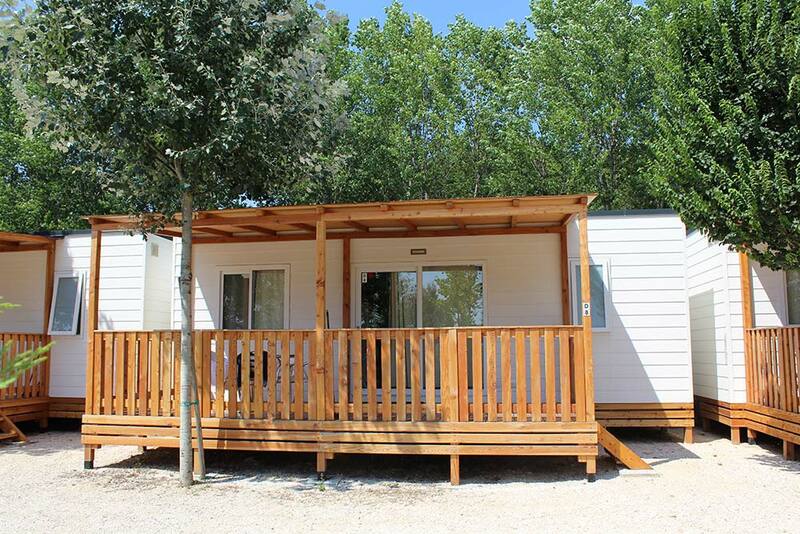 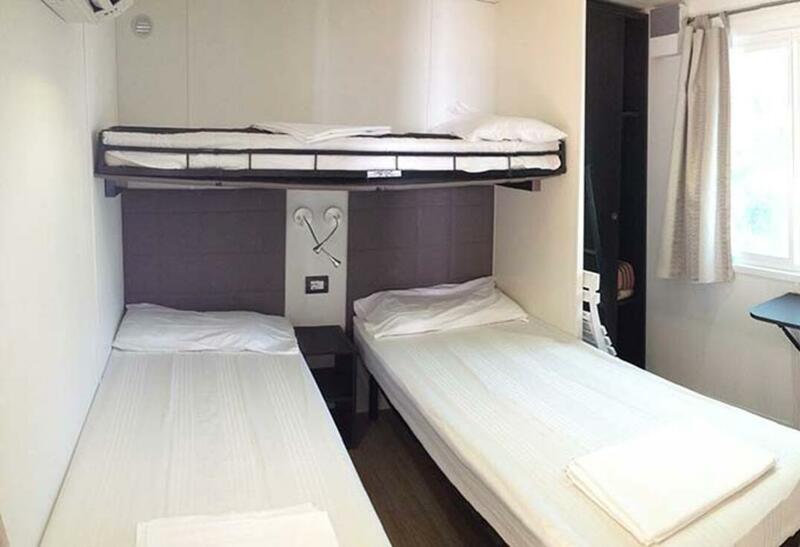 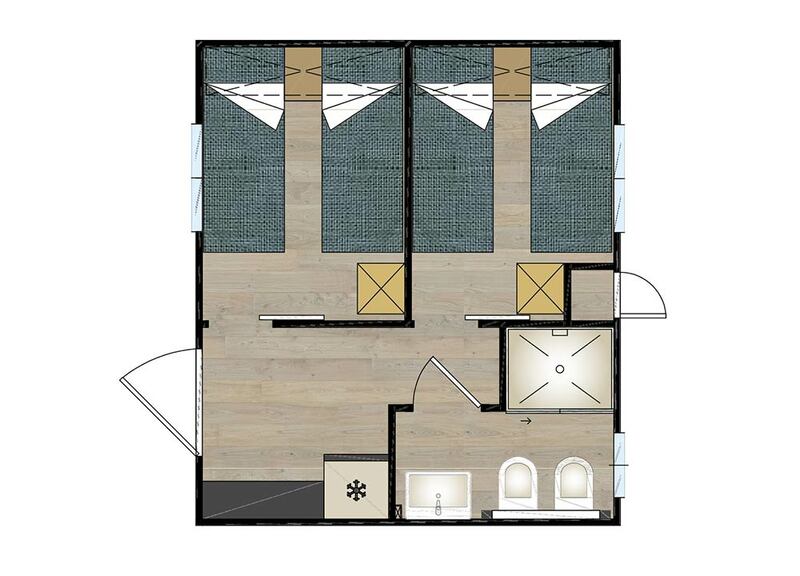 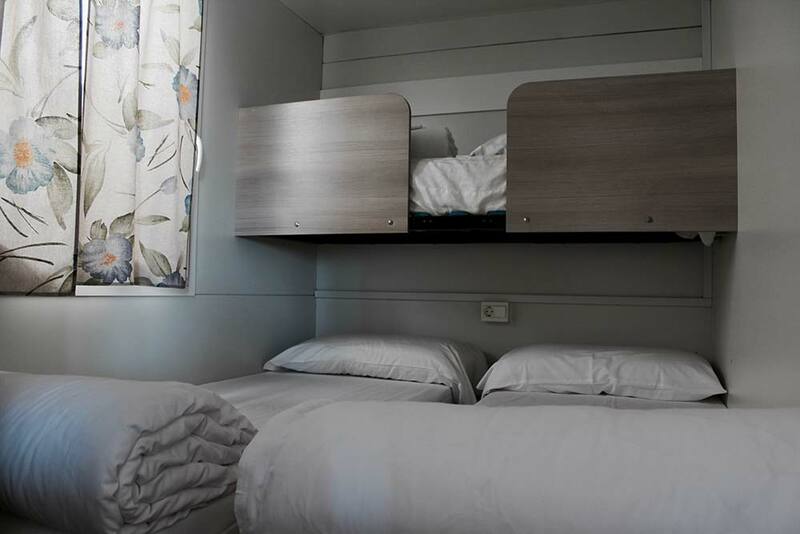 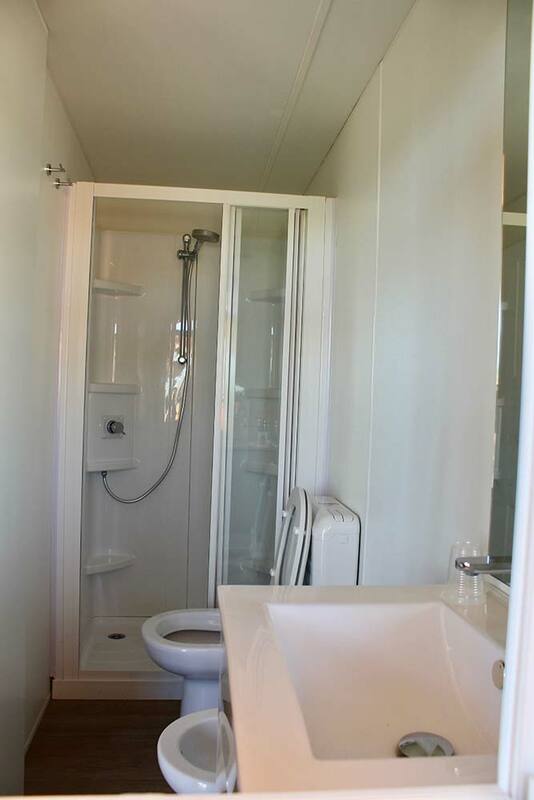 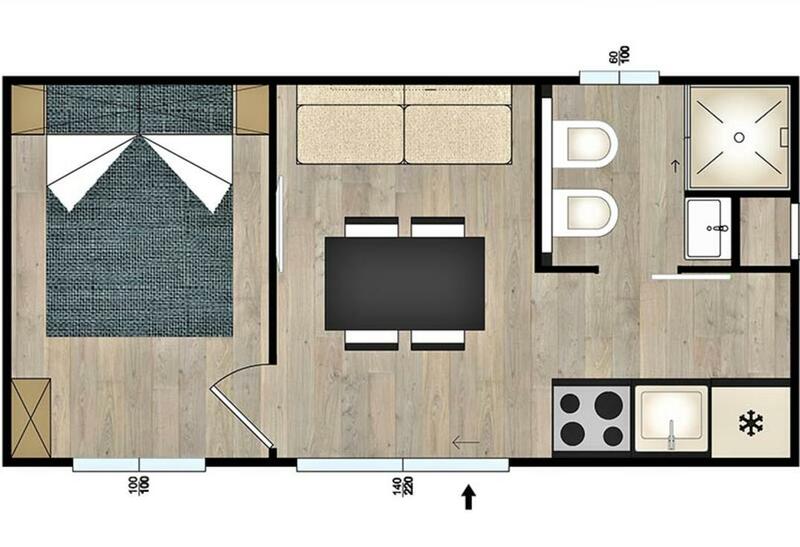 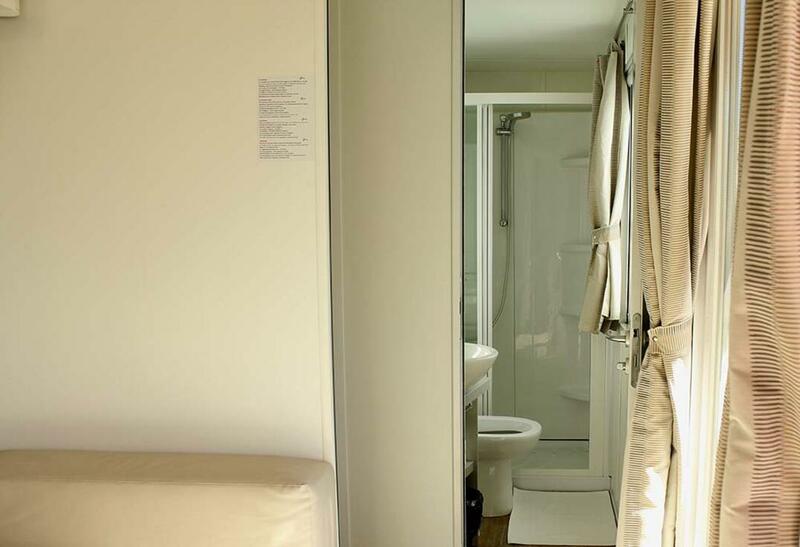 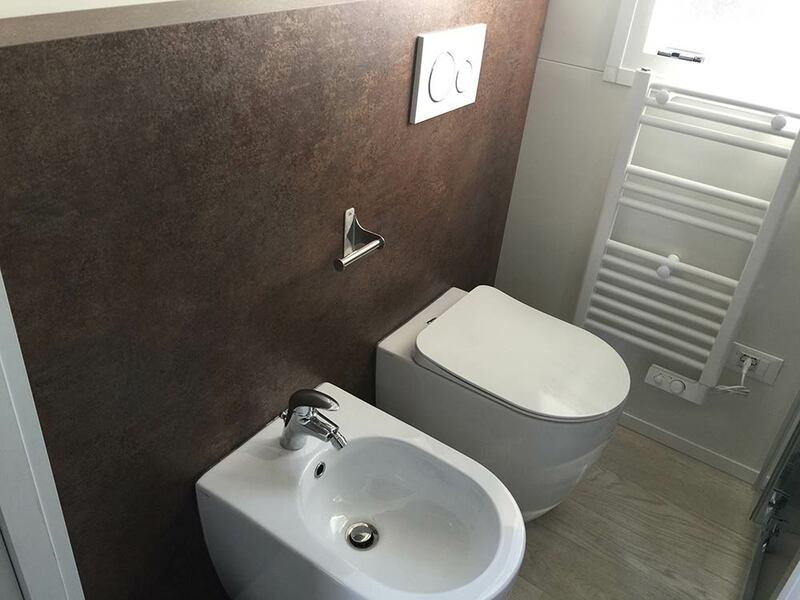 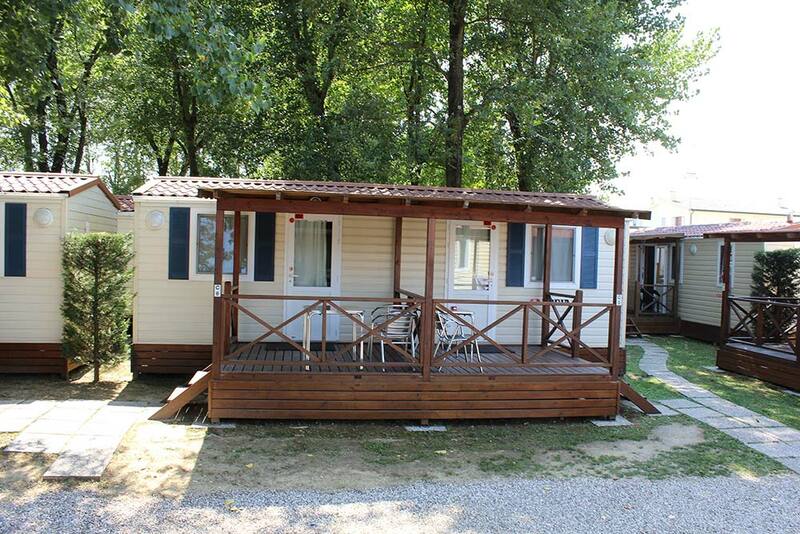 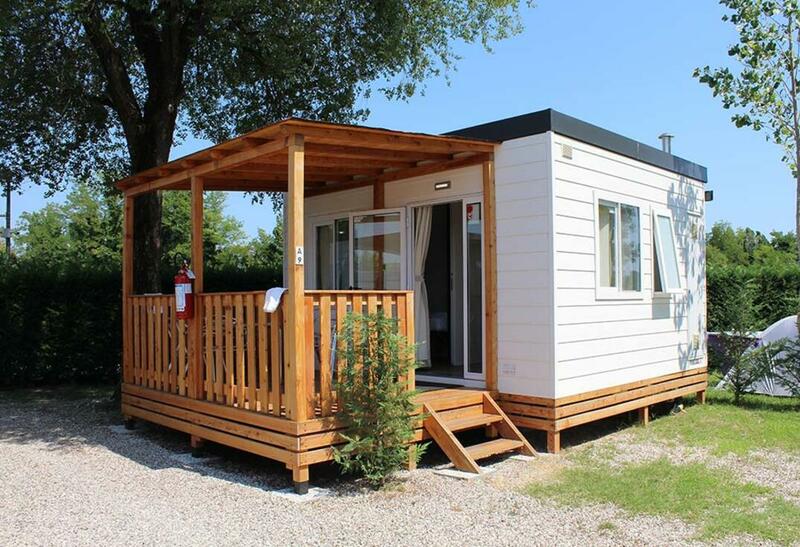 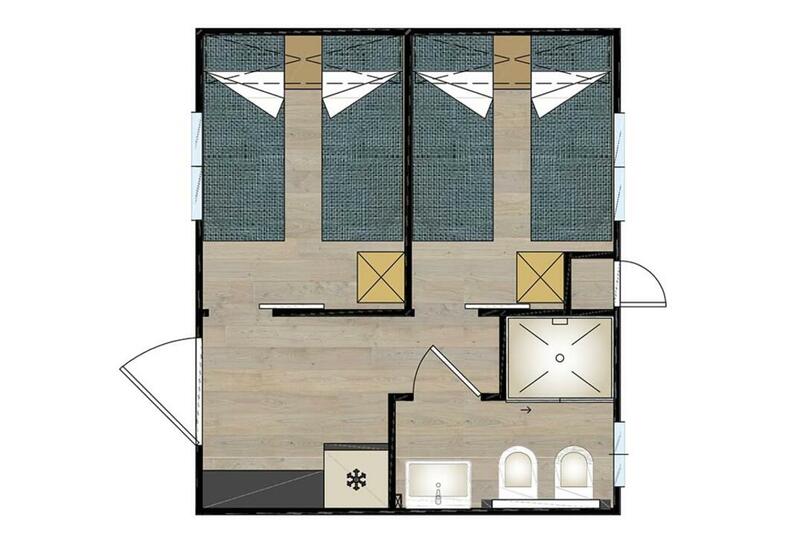 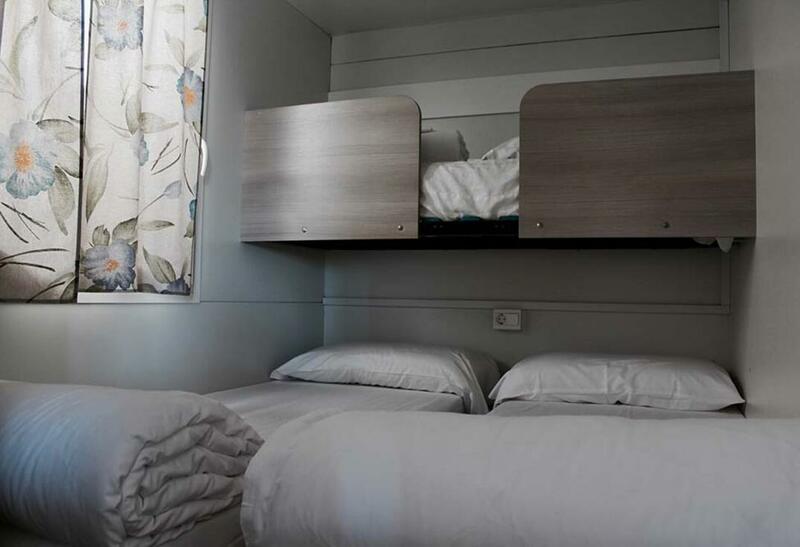 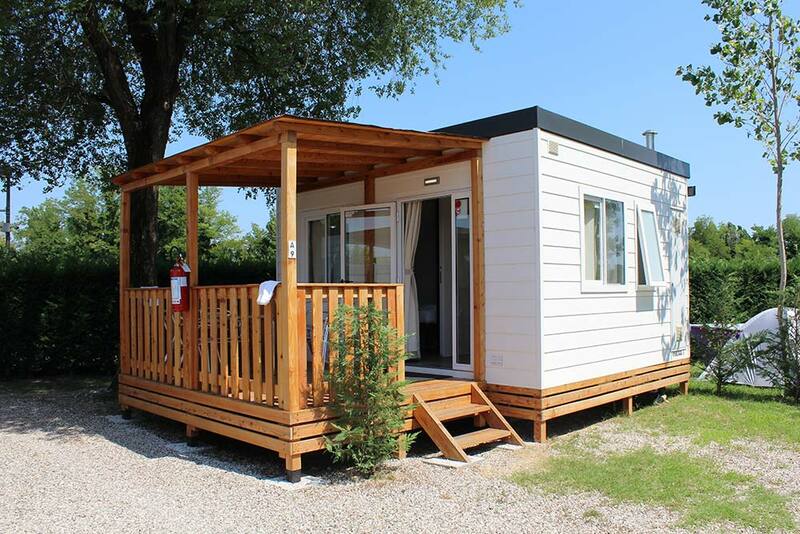 Features: shower, bathroom, fridge/freezer, heating, air conditioning (extra charge), 1 double bed and 2 single beds, or 4 single beds, covered wooden outdoor terrace with table and chairs. 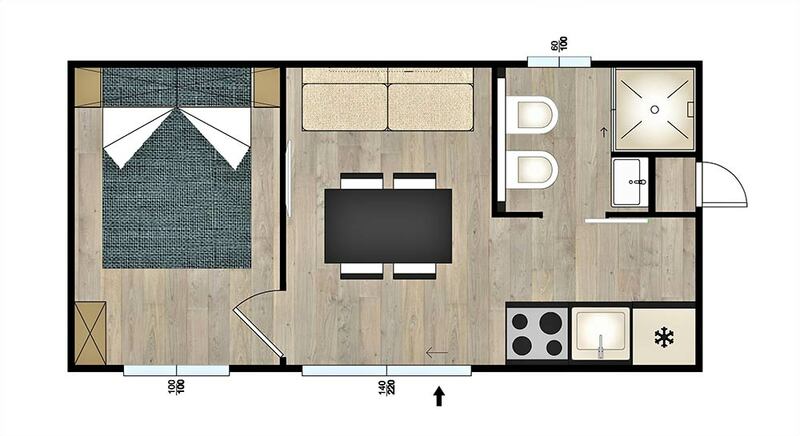 Features: double bed, kitchen, bathroom, shower, outdoor space with chair and table, heating, air conditioning included, Wi-Fi, refrigerator, hairdryer, water kettle, courtesy set for the bathroom, 1 bottle of water, TV SAT.